Ensure that the story of our military past is preserved and shared, now and for generations to come. If you are looking to try something new, to share your knowledge, expertise and experience, or to be a witness to history, join our team. August 2014 marked the 100th anniversary of the start of the First World War — a pivotal event in our history. The Dominions of Canada and Newfoundland sacrificed and contributed to the war effort in ways too often forgotten. Through their actions, a generation of Canadians established our nation as an independent force on the international scene. Your support for the work of the Canadian War Museum will ensure that the story of our military past is preserved and shared, now and for generations to come. The Canadian War Museum is Canada’s national museum of military history and is tasked with a single overriding objective: to help all Canadians understand our country’s military history in its personal, national and international dimensions. With your support, the Museum can set new standards of excellence for how we preserve and share the stories and memories of our military history through exhibitions, collections, research, education and outreach. If you wish to make a donation online, you can do so with your credit card. Please call us at 1-800-256-6031 or 819-776-8639. Please call us at 819-776-8639 during your next visit. We would be delighted to meet with you. 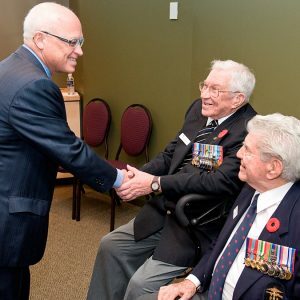 Operation Veteran was founded in 2009 by Dr. Paul Kavanagh, in association with the Canadian War Museum, to honour and raise awareness of veterans and their sacrifices. Thanks to contributions from generous private donors and many schools across Canada, each veteran visiting the Museum can receive a coupon valued at $11, which can be exchanged for refreshments or a meal in the Café, the Museum’s cafeteria. Since the creation of Operation Veteran, more than 15,000 complimentary meals have been provided to veterans at the Museum. 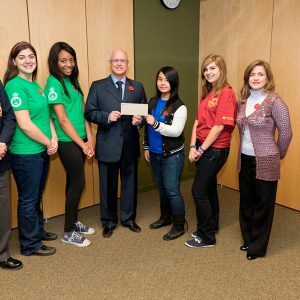 Educating young people about Canada’s debt to veterans through better understanding of our history is a critical element of Operation Veteran. To that end, your donation will also support the Museum’s Supply Line program. 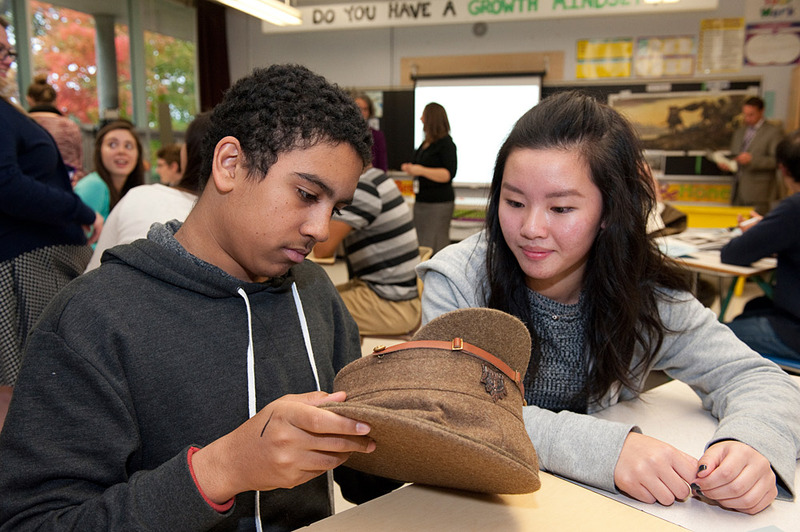 Through Supply Line, teachers across Canada can arrange to borrow a First World War Discovery Box. Each box contains authentic and reproduction items such as barbed wire and steel helmets, as well as lesson plans and background documents for teachers. 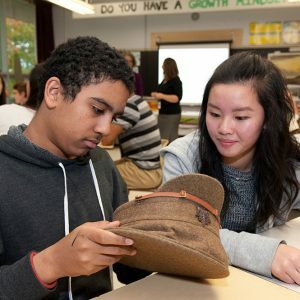 The boxes are intended to promote active classroom learning and discussion, and give students in Grades 4 to 12 a tangible way to imagine what life was like for Canadians during the First World War. By supporting Operation Veteran, you help us honour veterans, raise awareness of their sacrifices and preserve Canada’s military history. Support the Operation Veteran program today. Or you can print and complete this donation form (PDF) and return it to us by mail or fax. 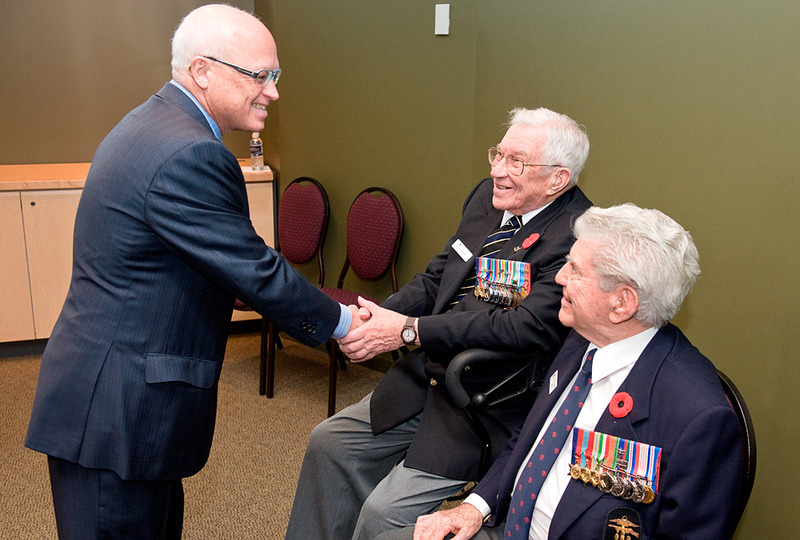 Paul Kavanagh speaking with veteransPaul Kavanagh speaks with veterans Jerry Bowen and Nelson Langevin at the Canadian War Museum. 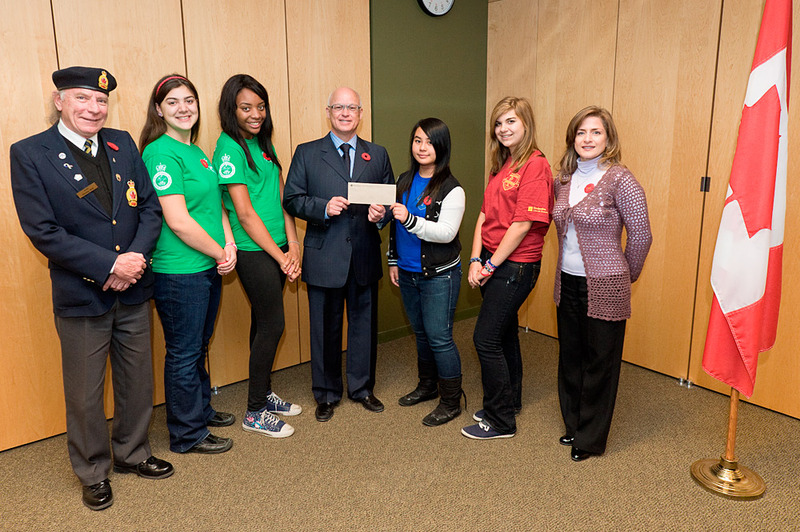 Cheque presentation, Operation VeteranStudents from Laval Liberty High School and Laval Junior High School in Quebec present Operation Veteran founder Dr. Paul Kavanagh with a cheque for funds they raised in 2011. Students explore a Supply Line Discovery BoxTwo students at Brookfield High School in Ottawa closely examine one of the objects in a Supply Line First World War Discovery Box. Need more information on donation options?